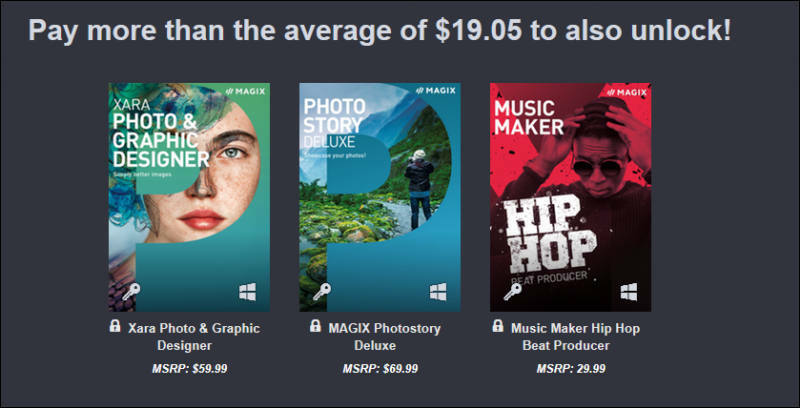 Not bad for Magix. Big amount of new Vegas users. Note - it also gives you big discount on Vegas Pro 15, as purchase will be just upgrade. Bought it. It's a very great value! 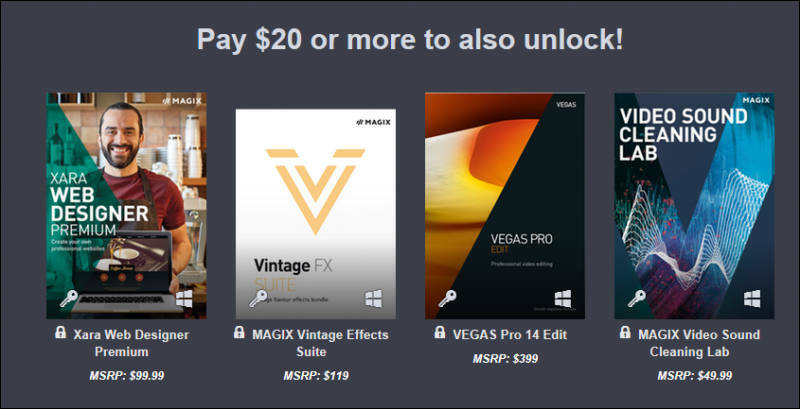 $149 for vegas pro edit! I would guess the price will continue for a while (I think adoption of v15 has been slow), but who knows. They picked up this year and reversed trend. Just marketing become more proactive. @Vitaliy_Kiselev I assume you have some inside knowledge of this from your interviews. Now that I think about it, the Vegas forum has had a lot of new users posting. So that is encouraging. @robertGL how to use the key asap? need to install the software and register it? where to download the software from? @apefos everything is explained, with download links on the humblebundle site. OK, I did the 1 usd purchase, and things worked ok, now will do the 20 usd purchase. Maybe start a topic for this bundle "Q&A"
first question: the vegas pro 14 "EDIT" version is a castrate version or has full features? 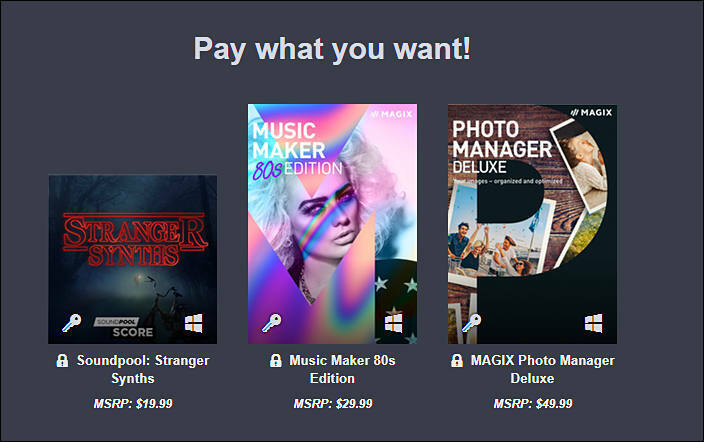 Xara Web Designer Premium as part of deal is very good for photo/video guys - to make good looking web site and also looks normal on mobile. It only lacks additional plugins and DVD/Blu-Ray Architect soft. I upgraded to 15 yesterday without any issues, price for upgrade and new registration is the same for a current promo but upgrade has some additional plugins included. 110000 copies sold and counting. Nice.